The three wise men (or magi) named Casper, Balthazar, and Melchior started the custom of giving and receiving Christmas gifts. They visited the newborn Messiah (Jesus), bearing the precious gifts of gold, frankincense and myrrh. They welcomed and congratulated Baby Jesus with these three precious gifts called the gifts of the Magi. Worldly men started following this trend. Now giving and receiving presents at Christmas have become a tradition. Almost all men across the globe celebrate Christmas auspiciously and offer Christmas gifts to their near and dear ones. According to the Gospel of Matthew, the three wise men came from the east. Therefore, it is quite natural that like the western people, the people of the east would celebrate it with full spirit and great enthusiasm. People of the east purchase impressive gifts in order to show the deep feelings for their loved ones. They want to prove that they are really very careful about their well-wishers. 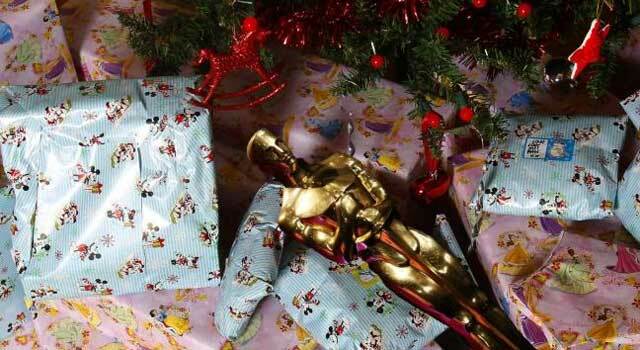 Many citizens, who stay far from their beloved cities in foreign countries (due to their transfers or job relocation), want to send Christmas gifts to their people. Side by side, many people living in their own countries like to send their valuable gifts to their friends and family members (staying in other countries). To make their job much easier, many online stores have come to the scene. They operate their business globally, tying up with different companies or international delivery chains. Once an item is booked, they take some important initiatives to let you know about the product, its latest location and expected delivery time. Sometimes, they send you a link to follow. Following the link, you can get an update on it anytime you want. Besides, there are a few online stores operating nationally. These stores deliver Christmas gifts at the doorsteps of various people living in different cities and important places of a country. They are good in delivering products on time. They are highly responsible in giving you an SMS alert about your booked item. These shopping portals give you SMS alerts as soon as you book an item online. You get the second alert when they hand over the product to a shipping company. The third alert comes on behalf of the shipping company. Moreover, they contact you before the arrival of the devilry guy. Consequently, you have time to be fully prepared for it. Moreover, a few online stores ensure same day delivery within a city. They cover almost all places of the city. These are highly useful for the last-minute gift delivery. When you don’t have much time at your disposal, you can easily send your gift to your desired destination within a city. Besides, it is highly useful for customization. To be more precise, some people look for a custom Christmas present in order to show a special kind of mood or sentiment to their special ones. Sometimes, they are to wait a long until their custom gifts or presents meet their expectations exactly. These online shopping stores become highly useful for those men who want to send their custom gifts within a tight timeline. http://www.mumbaionlinegifts.com/ is one of the popular online gift stores offering a wide range of gifting options at competitive prices. Daniel Mcbreen is a prolific writer interested in writing articles on Christmas gifts to Mumbai. He has many published articles in shipping and product review niche.